March 7, 2018 (Springdale, Ark.) – A new single from Christian music recording artist Maddie Rey goes for adds today to Christian radio. The song, “Fire,” will be serviced to Christian CHR and Rock-formatted radio outlets. The song, which is available at iTunes and other online retailers, is also featured on YouTube, where the upbeat video has garnered more than 24,000 views since its release in January. 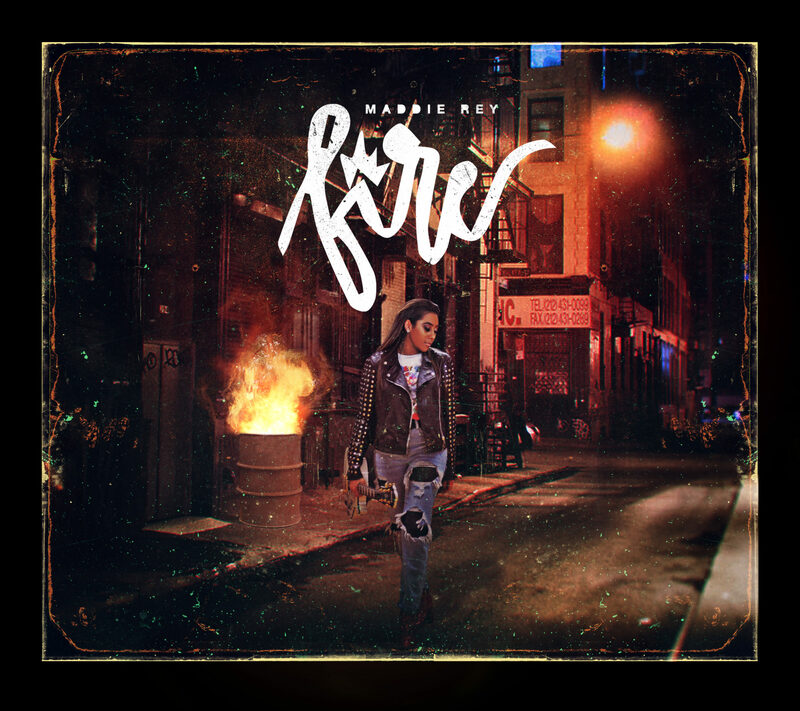 The release of “Fire” is a strong beginning to 2018, continuing the momentum that Maddie Rey built throughout 2017 with chart-topping music and a steady tour schedule that included the entertainer’s debut at RiseFest, where she opened for TobyMac, MercyeMe, Building 429, Tenth Avenue North, Crowder, Danny Gokey and others during the two-day festival in Sheldon, Iowa. The singer’s single, “Heart in the Air,” hit No. 1 on the weekly Christian Radio Chart and No. 1 on the monthly chart in February 2017. In addition to being a popular musician and youth minister, Maddie Rey is also a YouTuber and Social Media Influencer. Having started out on YouTube having her own online series, titled “The Maddie Rey Show”, she now teaches kids and teens how to live their life for the Lord and use their gifts and talents to glorify God through her Dwell message on her new YouTube channel. Maddie Rey is the daughter of Pastor Luis Reyes and Tricia Reyes, founders and senior pastors at Church of Joy in Waukegan, Illinois. To learn more about Maddie Rey, visit maddierey.com, like her on Facebook and follow her on Twitter and Instagram.